posted by calgarygrit at 8:51 p.m. I'd just like to point out that you mentioned Wayne Palmer, but included a picture of President David Palmer, his older brother, whose presidency was, in 24 terms at least, much more successful. By Brandon E. Beasley, at 12:17 a.m. Sorry, Dan, but the Onion beat you to it. By Josh, at 1:00 a.m. Shades of George Bush Jnr. Reality is stranger than fiction. JERUSALEM: Senator John McCain's trip overseas was supposed to highlight his foreign policy acumen, and his supporters hoped that it would showcase him in a series of statesmanlike meetings with world leaders throughout the Middle East and Europe while the Democratic candidates continued to squabble back home. But all did not go according to plan on Tuesday in Amman, Jordan, when McCain, fresh from a visit to Iraq, misidentified some of the main players in the Iraq war. McCain said several times in his visit to Jordan  in a news conference and in a radio interview  that he was concerned that Iran was training Al Qaeda in Iraq. The United States believes that Iran, a Shiite country, has been training and financing Shiite extremists in Iraq, but not Al Qaeda, which is a Sunni insurgent group. McCain said at a news conference in Amman that he continued to be concerned about Iranians "taking Al Qaeda into Iran, training them and sending them back." Asked about that statement, McCain said: "Well, it's common knowledge and has been reported in the media that Al Qaeda is going back into Iran and receiving training and are coming back into Iraq from Iran. That's well known. And it's unfortunate." It was not until he got a quiet word of correction in his ear from Senator Joseph Lieberman of Connecticut, who was traveling with McCain as part of a congressional delegation on a nearly weeklong trip, that McCain corrected himself. By JimTan, at 2:14 a.m. Your trying a little two hard to gain an American audience. By Anonymous, at 3:30 a.m.
Ha ha - good stuff. By SNJ, at 9:15 a.m.
brandon; Believe me, I know my 24...David just got formated down a bit below. josh; grr...I've had this one in draft form for a long time too. Funny article though - thanks for linking. By calgarygrit, at 10:15 a.m.
By Jason Bo Green, at 10:34 a.m.
And who is seen as the "best" candidate. Given the population i'd say the most likely outcome will be by experience, race and gender in that order. 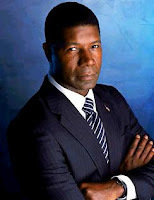 By art, at 10:50 a.m.
Never mind the dismal record against the terrorists; President David Palmer also can't hit a curveball, and drove the getaway car in a major bank heist once. By willie mays hays, at 2:27 p.m. There have also been scenes in which a woman as Vice President declines to usurp the office, while still acting in the Executive capacity. 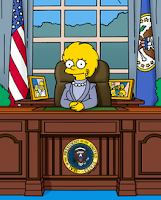 By paul.obeda@, at 5:09 p.m.
And let's not forget the female president who was in charge when the Yellowstone caldera erupted and reduced global average temperatures by 10'C. Mind you, I suppose you could say that she did solve Global Warming. By James Bow, at 12:45 a.m.
By HammertimeGP, at 2:48 p.m.
By Data recovery software, at 2:38 a.m.
By www.valencia-3d.com, at 3:31 a.m.
By RAHUT, at 2:42 a.m.
By squir biz, at 8:17 a.m.
By xccc, at 4:39 a.m.
By elkamaal elkamaal., at 1:12 p.m.
By elkamaal elkamaal., at 5:16 p.m.
By elkamaal elkamaal., at 5:20 p.m.
By elkamaal elkamaal., at 5:26 p.m.
By elkamaal elkamaal., at 5:46 p.m.
By elkamaal elkamaal., at 6:00 p.m.